text := March 11, 2011. The decade’s greatest earthquake hit Japan, devastating cities, torn bodies, drown lives, crushed souls, and nearly sparked a nuclear disaster. Yet in the aftermath of humanity’s greatest catastrophes, amongst the imageries of painful tragedy, comes the greatest display of inner strength, unity, resilience, human warmth, civility and everyday gallantry this century had seen, not just by mere individuals, but from the entirety of the Japanese people, a true humanist society. mü-nest presents Our Little Prayers (for Japan), a compilation of music gems by young, aspiring independent musicians from Malaysia, Singapore, Indonesia, Thailand, China and South Korea: artists who had found great influences and inspirations from Japan’s culture-rich indie music, and received considerable support from its music fans. Featuring new compositions and previously unreleased tracks from some of the region’s best electro-acoustic, ambient-pop and post-rock musicians, including flica, me:mo, Furniture, Folkaholic, hummingbert stereo, sonicbrat, Sima+Elintseeker and tatmo, Our Little Prayers (for Japan) represents the collective sounds of our region, expressing what we feel for Japan in the depths of our hearts with the most honest, simple, subtle but endearing sonic ventures. These are our little prayers to Japan - from an Asian, to an Asian. Each number brings you closer to the tranquil beauty of the human soul, with floating melodies, enchanting instrumentals, delicate ambient compositions and pulsing rhythms. Reflections of our love, hope and wishes for a people who is once again set upon with the arduous task of rebuilding their home. 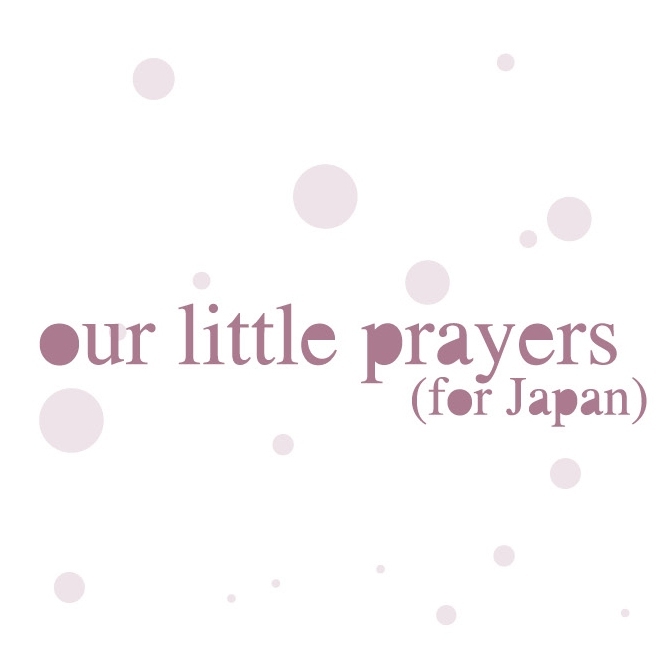 Our Little Prayers (for Japan) is a show of support to the Japanese people, a small gesture for us to give what we can, and a heart-felt salute to Japan for its great inspirations to our arts, music and our lives. This is a charity compilation from mü-nest. All sales proceeds from the compilation will be donated in full to the Malaysian Red Crescent Society’s “Japan Earthquake & Tsunami” International Relief Fund. Your kind support is much appreciated.